Not your usual Heart Day photo. Taken at Calabasas Commons. 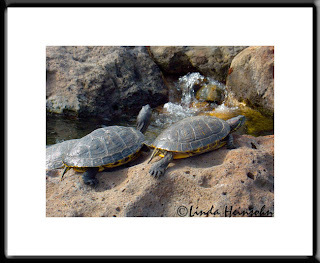 They have a large water feature that includes a creek, waterfalls, fountains, sculpture, koi, and these sunning turtles. I applied a sponge filter in PS Elements 4 which seemed to even out the tone of the shot.